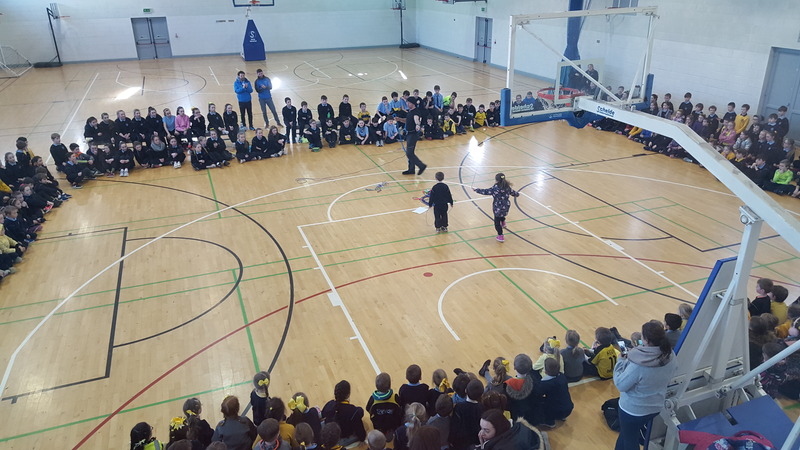 On February 5th & 6th, the Student Council organised a very successful skipping workshop. 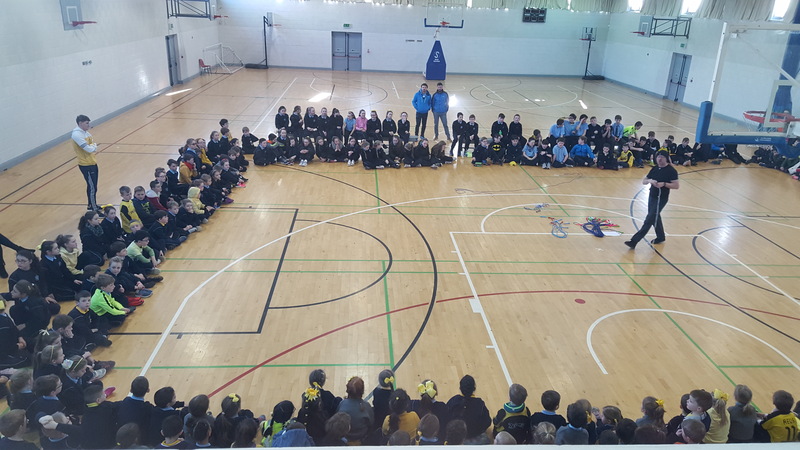 Lee Collinson from Skip-hop ran workshops for every class in the school. 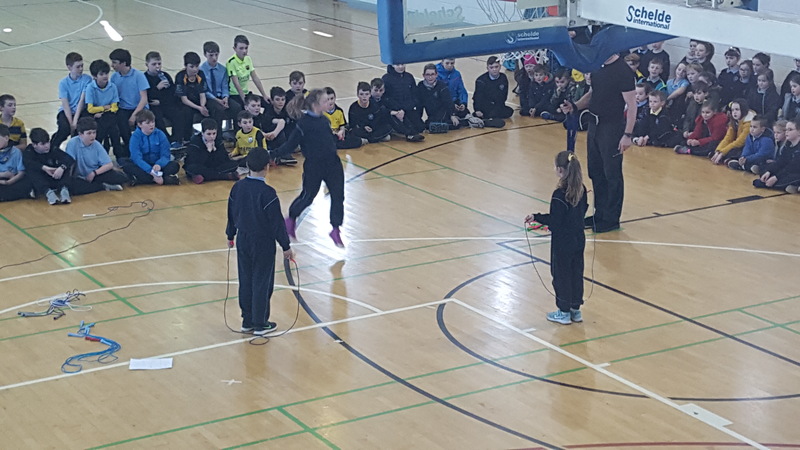 The workshop aimed to build the children’s confidence and skills and has enabled us to promote skipping as a fun and healthy activity in our school. 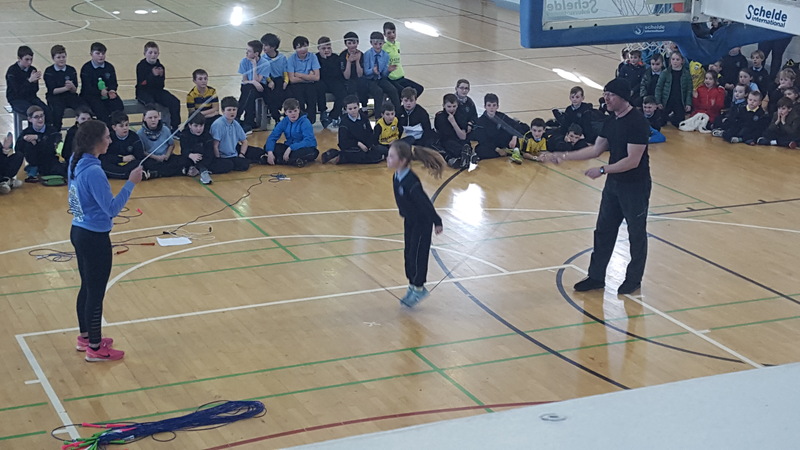 As a finale to the two days of workshops, Lee selected children from all of the classes to participate in a whole-school presentation of the skipping skills they had been learning. 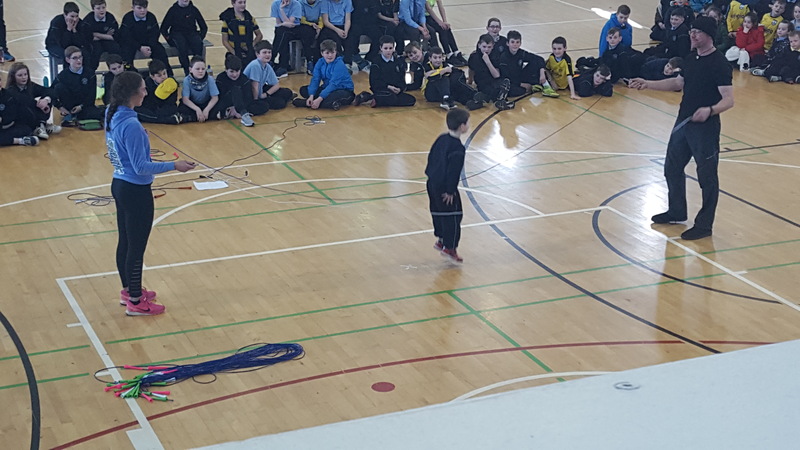 The children will continue to use their skipping ropes on yard during break-times. 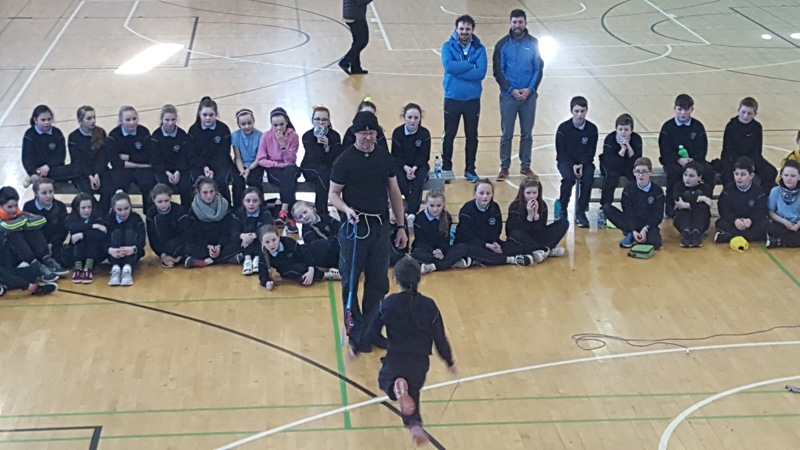 The Student Council would like to say a big THANK YOU to Lee for his patience and help in promoting this fun form of fitness to our school community.